Access the Bay Area Pinball Map at http://pinballmachine.org. 250 locations and 600 pinball machines in 67 cities throughout the greater bay area. FREE mobile apps for iPhone and Droid: http://pinballmap.com/bayarea/apps. Use GPS to find the nearest pinball game. Submit new locations and report maintenance issues. Where can you go and always find a good selection of games in working order? Pacific Pinball Museum (Alameda) – 80+ games set to free play. Play all day for one entry fee. Games range from the very first pinball ever to the very latest. Lots of cool pinball art. Open until midnight on Friday and Saturday. Playland-not-at-the-Beach (El Cerrito) – 30+ games set to free play, but much more than just pinball. This is the best venue to take the kids or hold a birthday party. Phoenix Games (Concord) – 13 games – The home of the East Bay Pinball League. An excellent line-up of games. Scandia (Rohnert Park) – 14 games, mostly new STERNs, along with a large arcade, mini golf, paintball and other attractions. Free Gold Watch (San Francisco) – 30+ games – Mostly Bally/Williams games. Leagues are as much about socializing and talking tech as they are about competing so don’t worry if your skills are in question. You’ll get better! 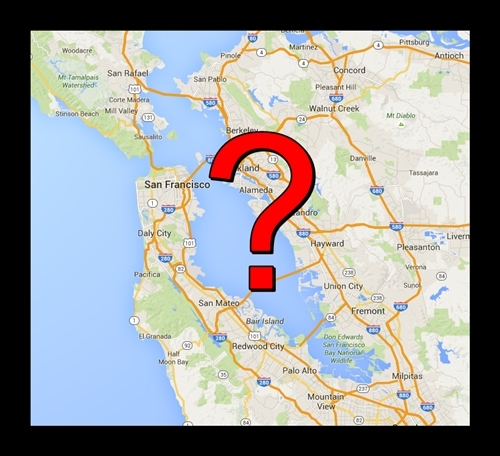 Bay Area Pinball Association (BAPA) – usually meets in the South Bay on Thursday nights. East Bay Pinball League (EBPL) – usually meets in Concord on Thursday nights. Capital Corridor League – East (CCPL) – meets in Sacramento and Folsom. San Francisco Pinball Department – meets twice per month at Free Gold Watch in SF. Solano Pinball League – The Solano Pinball League meets on Wednesday nights, at various locations around Vacaville and Fairfield. The largest tournament each year is held at California Extreme (July). Check their site (http://www.caextreme.org) for rules and info. There is also a fun Pin Golf tournament at Pin a Go Go that supports local youth organizations. There are many regularly scheduled local tournaments. 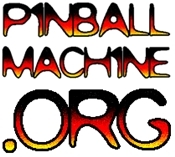 Check out the events page at Pinballmachine.org. Most tournaments are very fun and laid back. Don’t be afraid to come out and join us. We’ll make you better! Where can I talk pinball online, or get repair tips? Pinside – A forum that supports editing and images, avatars, and lots of great community features. The most popular pinball forum with a lot of collector-focused discussions. Tilt Forum – A newer forum with more emphasis on competitive pinball discussion. Who is this NES guy whose initials I see everywhere? Thanks for the site just found it tonight! Went to the museum in Alameda a few months ago and spent 5-6 hours in awe plus got 1st (beginner luck?) on the new Metallica game that I’d been dying to play. Had no idea until now of the place in Concord. Looking fwd to paying Phoenix Games a visit. Argh. The pins at SC boardwalk are almost comically bad. AFM is visibly tilted to the right, the stern games all have ball traps that will end your game, and Addams Family was turned off. SPBP was all right I think. It appears the Santa Cruz machines got serviced recently. They’re in better shape and most are playable. An Addams Family in fantastic shape also arrived. Santa Cruz is on the pinball map (pinballmachine.org). Unfortunately, it has a reputation for letting the games get dirty and fall into disrepair, so I can’t recommend people make a trip down there for pinball. Santa Cruz counts as bay area – there are a good number of pins at the boardwalk. Some are in the main Casino Arcade, but most are upstairs in Neptune’s Kingdom.